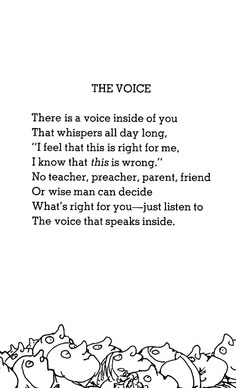 I came across this Shel Silverstein poem that someone posted the other day. 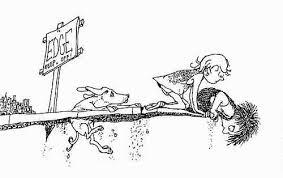 It reminded me of when I did my student teaching during my senior year of college; Where The Sidewalk Ends was a popular book among the third graders in my class. You might be familiar with one of his other very popular books, The Giving Tree. If you’ve never read any of his poems you should look him up! I was scheduled to do my student teaching the spring semester, so we had to get back to campus right after Christmas. My friend Debi and I were going to be teaching at the same school; thankfully, because I didn’t have a car and would have had no way of getting to the school. I was assigned to the 3rd/4th grade classroom of 16 students, in a three-room school-house. Every weekday morning Debi would pick me up and we’d stop at the corner store for a hot cup of coffee–there was no Dunkin’ on the way to anywhere back then. We also didn’t have cup holders, so as the passenger I served as both the DJ and cup holder. Given the rather long and winding, and often snow-covered, roads we traveled to get to the school; balancing my radio and coffee responsibilities often was a challenge. Every weekday for 15 weeks, it was the same routine: the coffee, the two main roads we traveled, the cassette tape that played the same four songs. I enjoyed every minute those rides. Debi and I shared great stories, lots of laughs; the daily challenges of being prepared to teach and then going back to campus to do our work as Hall Directors. I haven’t been in touch with Debi in many years. I know that she’s still an educator, a principal now–she may even be a superintendent. I hope that she recalls our morning rides as fondly as I do. Thank you, Debi!